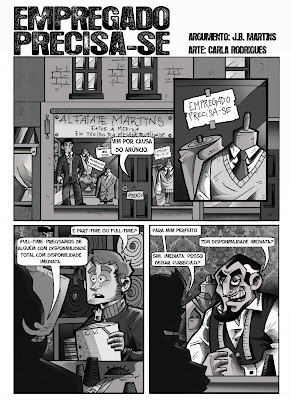 Well, Zona Negra II has been out for a few months (I posted a teaser back in November here) and I think it's safe to say it's okay to show the short comic I worked on for it, together with my friend J. B. Martins, who wrote it. 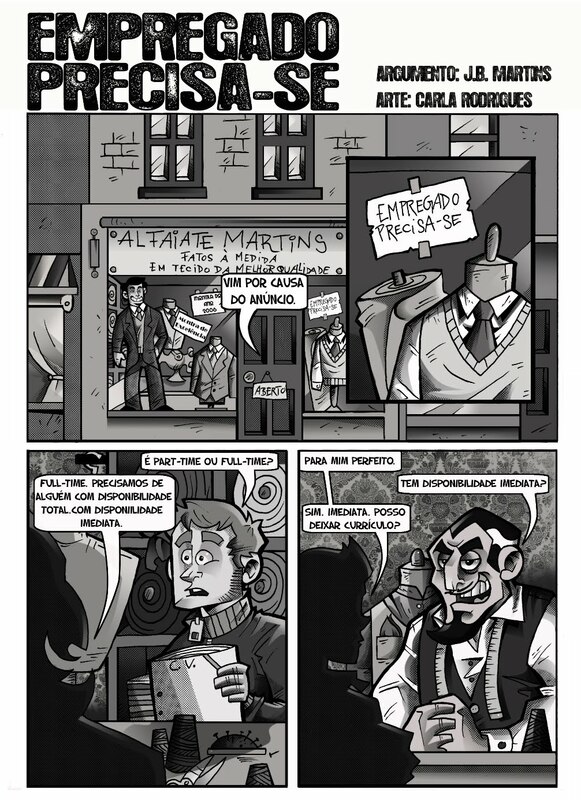 I haven't been able to show the newest things I've been working on, but I was pretty happy with how this particular comic came out, so I proudly present the first page from "Empregado Precisa-se". The story starts when a young man arrives at the Tailor Martins' shop, after reading about a job offer. I apologize for the lack of translation, but I think the rest is pretty self explanatory. Don't forget to full view, and enjoy! I'll be posting the other pages during the next few days.